HomeEducationCommonly Asked Questions How Do I Care For My Sapphire Jewelry? Truly caring for you sapphire jewelry will not only help it to stay shiny and beautiful, but also extend the life of the piece of jewelry. Natural, untreated sapphires are hard and durable. 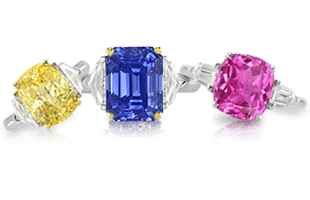 For these reasons, they are a favorite modern gemstone especially as new trends emerge for 2019 that indicate colored gemstones are on a steep rise. To make sure your natural sapphire engagement ring is always in the best condition, it is important to know exactly how they should be cleaned and stored. Sapphires are not prone to chipping, cracking or breaking. Because of the hardness of sapphires, please take care that they do not scratch softer gemstones in your jewelry box. This also holds true for sapphire and diamond jewelry, as diamonds are the only other precious gemstone that could scratch a sapphire. 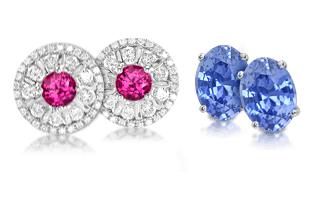 Keep your sapphire jewelry sparkling and beautiful with the proper care. Check your jewelry to ensure stones are not loose in their settings since the hardness of sapphires or diamonds can wear and tear at the metal used as the mounting. Natural , untreated sapphires are usually safe to clean in ultrasonic or steam cleaners used by jewelers. 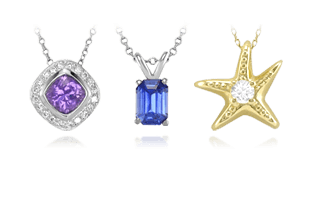 Exceptions include black star sapphires or stones that are heavily fractured or included. The best way to clean your sapphire jewelry is with warm soapy water and a soft brush, avoiding soaking the stone. Always avoid harsh detergents, and never clean your jewelry with solvents such as alcohol, acetone or paint thinner. Steam and ultrasonic cleaners are usually safe to use on sapphires, but it’s always good to check with your jeweler first. Keeping your jewelry in separate bags will keep it clean and unscratched. 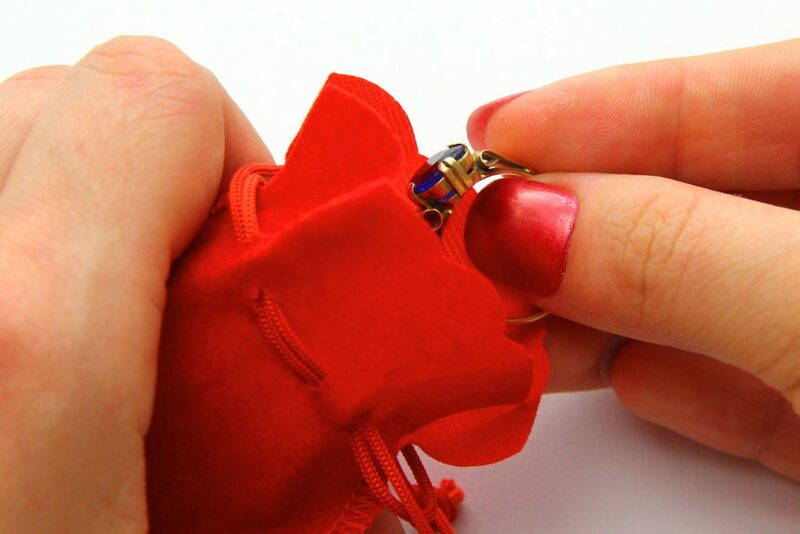 Store your jewelry in separate envelopes or pouches. Check your jewelry often to make sure the stones are not loose. You should remove your jewelry to bathe or wash your hands. Store it in a safe place so it does not slip down the drain. Avoid wearing fine jewelry when you are doing housework, gardening or participating in a sport. Do not subject your fine jewelry to physical shocks or extreme temperature changes. Have your jewelry repaired, sized or polished by a professional. Do not forget to insure your fine jewelry pieces. If you are unsure about the value, have it appraised by a professional. Gold: One of the most malleable and ductile metals, it is chemically inactive which means it won’t rust, tarnish or decay. White gold is occasionally plated with rhodium to create a brighter finish, over time the plating can wear off and may need to be reapplied. Platinum: Platinum, a silvery-gray metal has superior strength. When platinum is scratched, the metal is merely displaced; it does not chip or break off. As a result, scratched platinum jewelry can be repolished with little loss of weight. After being worn platinum can develop a patina. Buffing, steaming or repolishing the metal will restore the original luster, or you can choose to rhodium plate your platinum to make it whiter and shinier. Palladium: Palladium metal is a good choice for people with allergies to gold alloys. It is a silvery-white metal that is hard and doesn’t require rhodium plating. As we close out our expert answers for your questions, we next move into the regions of the world where all these lovely gemstones are found, starting with Sapphire Mines of South East Asia. 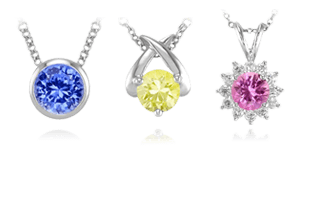 Commonly Asked Questions Where Do The Best Sapphires Come From?